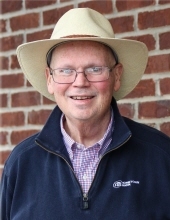 Don Ashley, age 61, of Blair Park in Corbin, Kentucky departed this life on Wednesday, December 4, 2018 at his home. He was born on January 21, 1957 in Corbin, Kentucky to the late William Carlisle Ashley and Sarah (Cartee) Ashley. In addition to his father, he was also preceded in death by his brother, David Ashley. Don was a founding member of the Bank of Corbin, now called Hometown Bank and a member of the Corbin Varsity Club. Don loved supporting and attending youth sport programs around the area. He was a member of Central Baptist Church. He is survived by his wife, Diane Ashley of Corbin; two daughters, Sarah and Katie Ashley of Corbin; mother, Sarah Ashley of Corbin; sister, Kathy Tremaine (Darrell) of Corbin; niece, Lori Barton (Duane) of Corbin; nephew, Todd Tremaine (Alice) of Corbin; great nephews, Jared, Brody, Bryce, Lucas and Alex; mother-in-law, Jenne Treadway Lexington; father-in-law, Don Treadway of Corbin; sister-in-law, Donna Treadway of Corbin; aunt, Shirley Kinsland of South Carolina; dear cousin, Susan Rowe (Michael) of South Carolina; and a host of other family and friends to mourn his passing. Visitation will be after 5:00 P.M. Friday, December 7, 2018 at First Baptist Church of Corbin. The Funeral Service will be at 1:00 P.M. Saturday, December 8, 2018 at the First Baptist Church of Corbin with Rev. Austin Carty, Rev. Sean Disney and Dr. Amon Couch officiating. Following the Service he will be laid to rest in the Pine Hill Cemetery in Corbin. In Lieu of Flowers memorials may be made to the White Flag Ministry or the First Baptist Youth Program. To send flowers or a remembrance gift to the family of Don Ashley, please visit our Tribute Store. "Email Address" would like to share the life celebration of Don Ashley. Click on the "link" to go to share a favorite memory or leave a condolence message for the family.